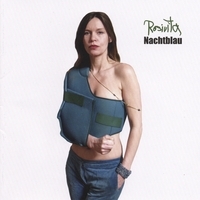 Austria’s Rosivita and her partner Klaus Karlbauer have struck up an interesting partnership on this album. Her vocals and lyrics and prove a fascinating match for his melodies. She resembles a new version of Lene Lovich or a German PJ Harvey. “The Devil and Me” is a dreamy chanson, Rosivita’s tender side fully exposed. “Kill your family” is sonically abrasive and has a lot of energy. Rosivita’s mixed English and German singing is enchanting. “Il Nano a Grado” is a little bit funky and relaxed. The vocals are smooth and lovely. “Hidden Place” is a coolly unfurling song with a great vocal. Rosivita is a startling new talent, and she should have no problem finding and audience with this album. Comment: I bought the CD and it s great music!! !